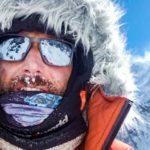 (K2Climb.net) Stefano Zavka from the Italian Mountain Freedom expedition is missing after summiting K2 on Friday. 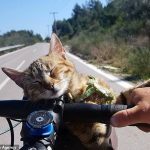 Bad weather made the descent more difficult than anticipated, reports Italian online magazine Sporterni. Friends and families are very worried. 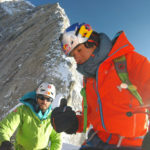 In his latest update from K2 BC, Portuguese climber Joao Garcia confirmed that one of the Italians is presently missing. 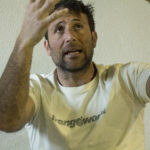 In a phone call with ExWeb, the sister of Stefano Zavka said that Stefano went missing on Friday evening (local time) - shortly after summitting together with his team mates Daniele Nardi, and Mario Vielmo. Mario spotted Stefano's headlamp at 8.30 pm from the Bottleneck. Stefano was then above the section; climbing between the traverse and Bottleneck. Mario reached the shoulder some 2 hours later but got lost. 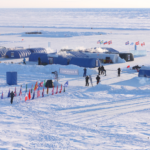 He radioded Daniele Nardi and asked him to switch on a lamp in the tent to lead him to the camp. Mario was at this time very close to C4, but couldn't find it due to bad weather. Daniele switched on the light and Mario was able to reach the tent safely. Still in C4 - but without radio? Stefano however never arrived C4 that night. Yesterday (Saturday) morning the Italians and all the other climbers descended in very bad conditions. They left behind a tent in C4 for Stefano. He didn't have a radio however, and the family is not sure if one was left for him in the tent. 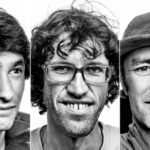 As of Sunday, according to the Italians all summiteers except Stefano is back in K2 BC. 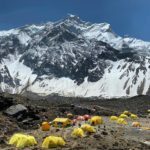 The family and friends of Stefano are now asking climbers on K2 if possible to check the tent at C4; since they believe there is a chance that Stefano could be there, but without communication. 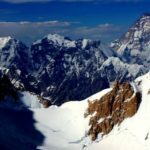 Some climbers have been reluctant to share information in fear of releasing the wrong facts and/or upsetting the families. The relatives however stress that it's the lack of news - rather than confusing info - that makes them worried. Rapid information sharing could also make rescue attempts swifter. 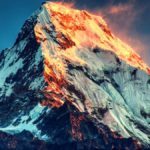 Any information from people on the mountain and their home teams is therefore greatly appreciated. Pls contact Stefano's family or ExplorersWeb, who will relay the information to them. 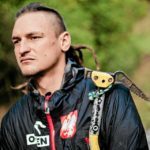 Stefano Zavka went missing on Friday evening (local time) - shortly after summitting together with his team mates Daniele Nardi, and Mario Vielmo. His relatives now ask climbers to check 4, as Stefano might be there without means of communication. Image of Stefano courtesy of his website.